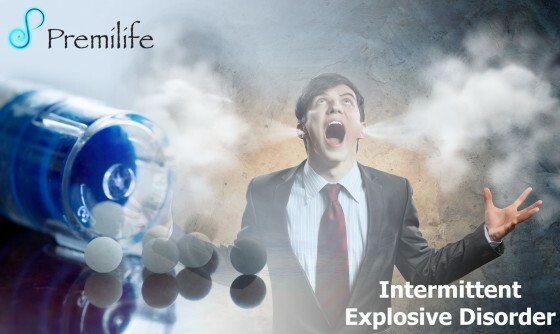 Intermittent explosive disorder (abbreviated IED) is a behavioral disorder characterized by extreme expressions of anger, often to the point of uncontrollable rage, that are disproportionate to the situation at hand. • Intermittent explosive disorder (abbreviated IED) is a behavioral disorder characterized by extreme expressions of anger, often to the point of uncontrollable rage, that are disproportionate to the situation at hand. • Prevalence is higher in men than in women. The disorder itself is not easily characterized and often exhibits co morbidity with other mood disorders, particularly bipolar disorder. • Individuals diagnosed with IED report their outbursts were brief (lasting less than an hour), with a variety of bodily symptoms (sweating, chest tightness, twitching, palpitations) reported by a third of one sample. The violent acts were frequently reported accompanied by a sensation of relief, and in some cases, pleasure, but accompanied by remorse after the fact.